There are few things as exciting as the arrival of a new baby. This represents the culmination of months of planning, preparing and magical expectations. The arrival of the baby will change the relationship of the couple forever. All of the reading and studying the prospecting parents do can never prepare them for the degree of attachments they are going to feel for the baby. New parents are frequently overwhelmed by feelings of awesome responsibility, vulnerability and self scrutiny. 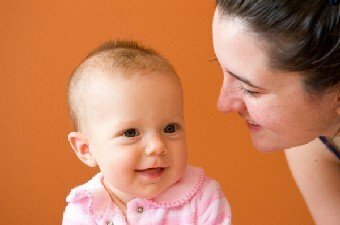 Parents can struggle with uncertainty as they are beginning to care for their baby. They also may find that they’ve moved from being in the first place to second or third place in their relationship. The beginning days of parenting usually involves sleep deprivation, feeling of inadequacy, incompetence and frustration. Friends, family members and grandparents may be a vital resource for the couple or they may be a source of stress and conflict. The current diagnostic system used by psychotherapists in this country considers the birth of a child to be a serious source of stress. There is a wealth of information available to new parents. In fact Foster & Associates provides a compilation of information from a variety of sources in the parenting classes it offers. Some of these classes are specifically designed for new parents. Some new parents will want to sit down with a counselor who can help them constructively respond to their new situation. To ask questions or to schedule an appointment please contact us.